You want a cheap tumble dryer? Here's a list of the best condenser deals from home appliance stores: Argos, Asda, Tesco, Currys and more. Hotpoint TVFS73BGG Free Standing 7KG Vented Tumble Dryer - Graphite. 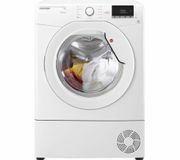 Candy CSV9LF Free Standing 9kg Vented Tumble Dryer - White. A lot of people think of tumble dryers as an unnecessary luxury. It’s a fact that these machines consume more electricity than your average washer dryer but there are several benefits of using them especially during the long and dark winter season. In addition, it is the ideal choice if you have a large household doing numerous washing loads every week or if you don’t have enough space to hang your clothes to dry. There are plenty of factors to be considered when investing in a new tumble dryers that will best suit both your needs and lifestyle. Some of the factors that will influence your tumble dryer choice include the location, available space you have in your home, your ironing habits, the number of loads you run each week and even the different kinds of fabrics you use. Our guide is simple, but if you will follow it, not only will it help you find the best tumble dryer for you but you will also get great savings. Here at Latest Deals you will find the latest cheap tumble dryers offer, deals, sales and voucher codes from appliance retailers such as AO, Tesco, Argos and Asda. Freestanding. This kind of tumble dryer provides more flexibility if you want to move it from one room to another. Its standard dimension is about 85 H x 60 W x 60 D cm which should fit beneath most kitchen worktops. Semi-integrated. This machine can cost you more. You can see its control panel but the dryer drum is concealed behind a door. You have to ask for your kitchen supplier for a door panel to match your kitchen’s interior. Integrated. This tumble dryer is designed to be installed within your kitchen unit and can also cost you more. It’s also a bit smaller than the freestanding kind coming in with a dimension of 85 H x 60 W x 53 D cm. Vented. Hot and damp air are pumped out from the drum through a flexible hose on vented models, so if you will choose this type, it needs to placed next to a window or wall. Using a venting kit, it can be vented permanently via an outside wall. Not to worry though as most models come with their own venting kit. This is traditional type is also the cheapest. Condenser. Unlike the vented type, condenser tumble dryers don’t need an exhaust hose through an outside vent, you can place it anywhere in your home. This machine condense the steam inside it turning it into water, which is collected in a removable reservoir or container. You can simply pull out this container and empty when it’s full. Most machines come with an indicator light to let you know when you need to empty the container. Gas. This type works just like an electric tumble dryer, however, instead of using electricity, the air is warmed using mains gas. They tend to be cheaper also but you need to have it installed by a Gas Safe-registered engineer, which can bend your wallet. In addition, gas tumble dryers are quite limited in the country. Heat-pump. These machines are expensive but compared to electric tumble dryers, they are cheaper. It’s basically a condenser dryer that has a heat pump inclusion on its system. You can store them anywhere in your home as long as there’s a power supply ready. Space savers. If you have a small space, you can opt for a compact and small tumble dryer model which is usually measuring at 67 H x 50 W x 47 D cm and can accommodate 3-4kg of load. It can sit on your worktop, you can even wall-mount it if you want. A heat-pump tumble dryer re-circulates the hot air to use again. Where can I get cheap tumble dryers? High street retailers Argos, Currys, John Lewis and Tesco also sell tumble dryers. They often have sales and voucher codes to save you money. John Lewis, for example, is known to have a 'white goods sale' where fridge-freezers, washing machines and tumble dryers are reduced 20% or more. Bargain hunters have found cheap appliances from £150 in the past. There is also the online retailers AO and Very who often push Beko and Candy branded dryers. During the March Bank Holiday and Black Friday, these have been over 30% off. If you want to buy a new spin dryer, then White Knight is usually the cheapest brand, starting at about £99. A small dryer, perfect for single use or small batches, can dry up to 4KG in a single load. 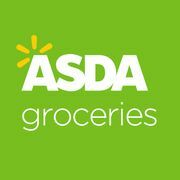 Amazon, Co-Op Electrical, Robert Dyas and other stores stock it. Tesco tumble dryer: You can save around £10 to £150 on select tumble dryer models on brands like Beko and Bosch including free delivery. You have to hurry though since most sale items are limited in stock. Argos tumble dryers: Always check products marked with “Clearance” in Argos to take advantage of huge discounts on select products. 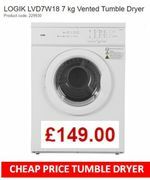 In addition, they have tumble dryer offers where you can get £10 to £20 off or as much as 20% off on select brands. Make sure to watch out for dryers marked with “Our Lowest Price” and “Great New Price” as this means that these machines prices have been reduced. AO tumble dryer: The retailer has more than 100 tumble dryers to choose from where you can save around £10 to £30 on some brands and all of their products come with free delivery also. They narrow down your choices even further, checkout AO’s “Best Buy Tumble Dryers” where they list down 5 of their favourite models from condenser to vented. It also has information on each of the models highlighted including reviews and ratings. Tumble dryer Currys: Find all the latest tumble dryer models and great deals at Currys. With a massive savings of up to £150 on select brands and models plus free delivery, 2yrs guarantee and flexible credit options, you’re sure to find the perfect dryer without hurting your pocket. You can get small tumble dryers from under £50. Online stores such as AO.com and Very.co.uk often have discounts to save you money. To find a tumble dryer for under £50, you'll have to buy second hand. There are often advertisements on Gumtree and Preloved for used appliances. 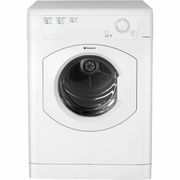 You may also be able to find a bargain tumble dryer on ebay including top brands such as Bosch and Indesit. What size tumble dryer do I need? The size of the drum is usually measured in KG. It refers to the weight of the clothes the drum is able to bear. An automatic tumble dryer features a sensor inside its drum that will tell you when your washing load is dry and it’ll stop the dryer accordingly. So basically, there’s no need for you to set its program time, simply load it up with your clothes and wait for it to finish its job. This makes a dryer energy efficient since it’ll reduce opening the drum to check if your clothes are already dry or not as well as prevent the machine from running longer than needed. However, there are models that stop earlier that supposed to that will leave your clothes wet. On the other hand, traditional tumble dryers don’t have any sensors and you will to manually program the time in. These dryers are normally cheaper and although most of the time the control panel provides guide times, you still need to check it from time to time. Door. Make sure that its door is easy to open. Ideally, it’ll open flat against the dryer and not swing back on its own. Water filter. Check that its filter can be remove easily and has an accessible water tank. Control panel. A tumble dryer should have an easy to read control panel that will not have you bending down as well as being well laid out to make things easy to locate. Micro filter. Heat pump dryers come with this and it should also be easy to remove. Child locks. When you have kids at home, this is very useful for them to stop fiddling with the control panel. Delay start. This feature will start drying your washing load at a convenient time to you. Time remaining display. Some automatic models will provide you with an estimate on how long it’ll take to wash a load. Water container. If you plan on buying a condenser type, ensure that its water container can be accessed and removed easily. Water outlet. If you’re after the gas type, it’s more convenient to get one with a water outlet that slides open and closed instead of having the need for it to be pressed shut or screwed. Reverse drum. The drum’s clockwise and anti-clockwise motion aids in the drying process as well as avoid creasing. Other things you need to consider are ease of use, running cost, capacity or drum size, noise level, energy efficiency and number of programs and functions.